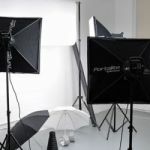 Studio Photo Gallery (also known as Seamless Studios) is a well-established professional photography studio for hire based in SE16 Bermondsey, Central London, on Drummond Road. Our Studio is Situated in The Biscuit Factory, part of the Tower Bridge business complex, and is Comfortable, Clean and Client Friendly. The Studio has worked with many professionals over the years, and is available for rent to anyone doing a small or medium photoshoot, from portraits and headshots to fashion and e-commerce. Equipement is available in the studio, including flashlights, background paper, a makeup area, changing area, and other important facilities. The studio also has some natural lighting with, of course, a blackout option. Studio Photo Gallery is available for use of students and professionals,and could be considered inspirational for those seeking good vibes in their creativity. Photography studio hire in London, available every day, you can easily have a certain timeslot(s) reserved by using the booking schedule in 'Availability and Booking'. Studio Hire prices include use of all our equipment! Photography studio hire space located in the old biscuit factory in Bermondsey, is available to hire at some of the most competitive day or half day hire rates in London.